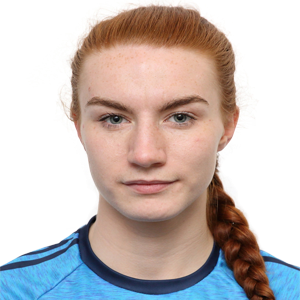 Congratulations to the Dublin team on winning the 2017 All-Ireland Ladies Football Championship. 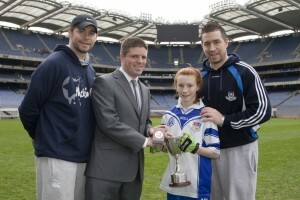 Special congratulations to our past pupil Lauren Nic Aoidh on her magnificent performance in Croke Park. 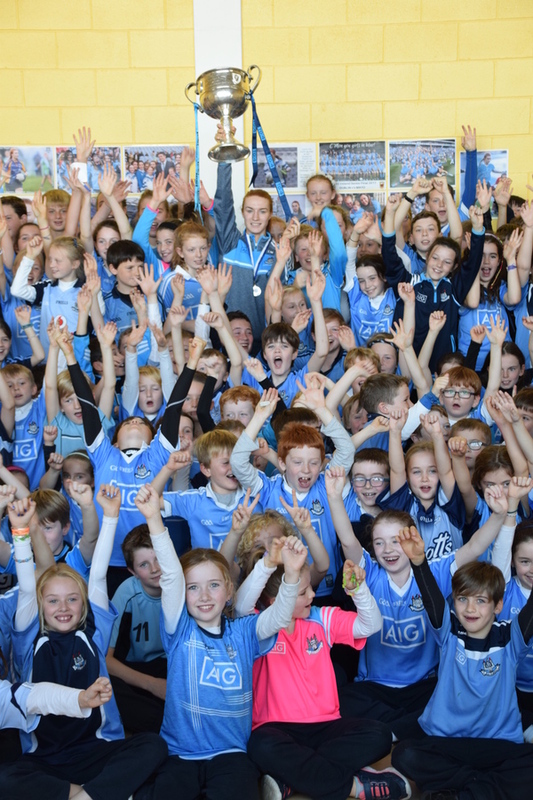 Lauren visited the school recently to talk to the children and show them the Brendan Martin Cup. 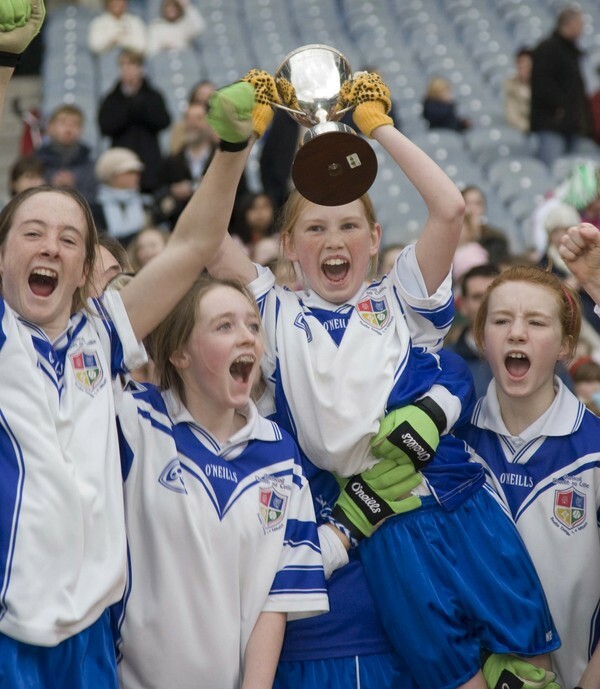 The Brendan Martin Cup is the name of the cup that ladies gaelic football teams play for in the final of the All-Ireland Senior Ladies Football Championship, it is the equivalent of the Sam Maguire Cup. 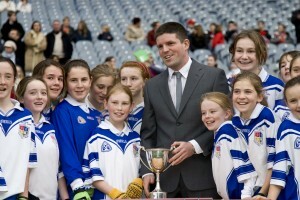 The cup is named after Brendan Martin, a native of Tullamore, Co. Offaly, who organised ladies’ football games in the early 1970’s and became one of the first treasurers of the newly founded Ladies Gaelic Football Association. 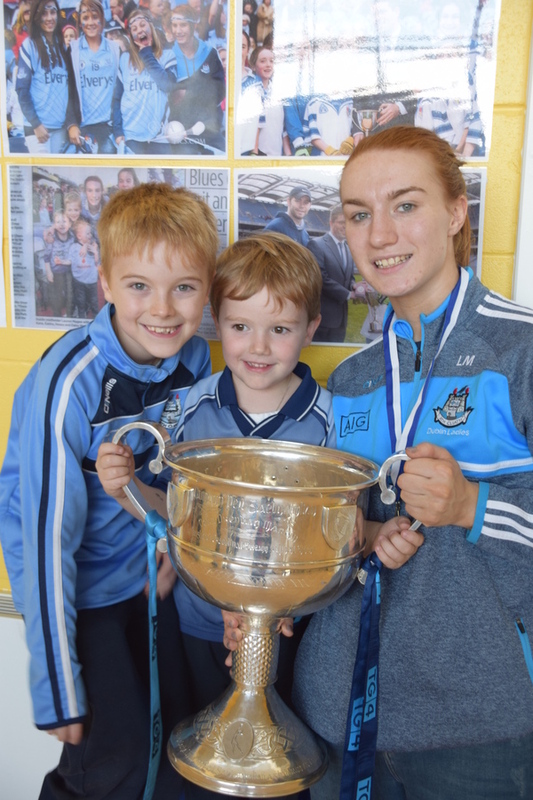 Coincidentally two of Brendan Martin’s grandnephews and his grandniece attend Gaelscoil Thaobh na Coille and they were delighted to get a chance to have their photograph taken with Lauren McGee and their great-uncle’s cup. 10 years ago in 2007 Lauren played on Gaelscoil Thaobh na Coille’s winning team in Croke Park in the Cumann na mBunscol Finals. 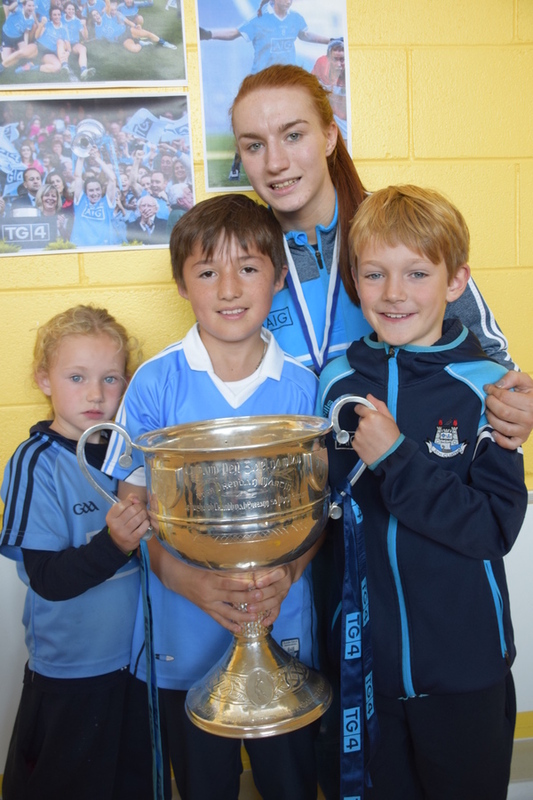 Who knows how many of our current pupils will follow in Lauren’s footsteps and end up playing for Dublin in the future? 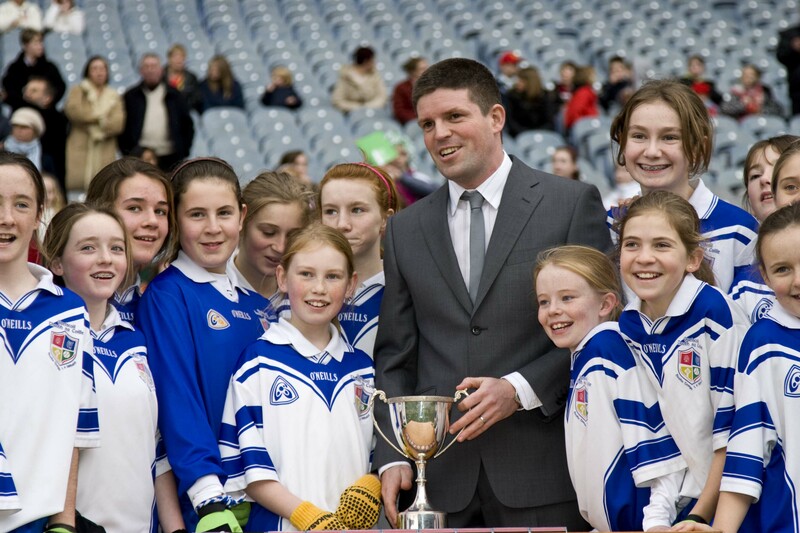 We are very proud of Lauren and all that she has achieved.